Click on the links below for our most current, up-to-date information. Descriptions of coatings available with technical data on composition and application. Please click on the following links below to download the appropriate report. For further assistance, please contact technical support at (P) 630-787-3259. Material Safety Data Sheet (MSDS) designed to provide both workers and emergency personnel with the proper procedures for handling or working with a particular substance. 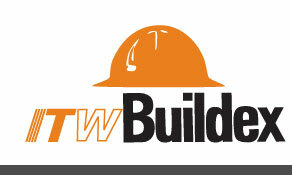 Information on approvals and notice of acceptance for many ITW Buildex products. These include ICC/ICBO, FM (Factory Mutual), UL (Underwriters Laboratory), and Miami Date County. Please click on any of the links below to be taken directly to the most current Approval Report. Technical drawings have moved! Please navigate down to the product you are looking for, all drawings are available in the right-hand channel of the product pages. CAD details are available in DWG, DXF, and IGS formats. When you have located the appropriate detail, select one of the file format buttons to download the file to your computer. To view a CAD detail, you will need a CAD design program or a CAD viewer program. Autodesk Design Review is a free CAD viewer that will allow you to view, measure and mark up 2D and 3D designs without the original design creation software. A comprehensive list of our most frequently asked questions. What is the difference between Grid-Mate and Grid-Mate with Stem? The Grid-Mate with Stem allows the plate to be pre-spotted on to the insulation for ease of installation. What is proper fastening pattern for attaching foam insulation with Grid-Mate or Grid-Mate PB plates? Consult with coating and/or insulation manufacturer for suggested spacing and attachment patterns. What type of screw should be used with E-Z Toggle? The screw included with the wing-nut assembly is an #8 X 2-1/8" blunt-point sheet metal screw. We suggest this screw for consistent performance of the assembly. How much weight will an E-Z Anocr hold? E-Z Ancors have been tested in 3/8", ½" and 5/8" single-ply drywall. See our EZ-Anchor product page to review ultimate pullout performance data. Can Dektite be used over an asphalt built-up roof? No. Dektite products are designed for use on metal roofs only. Elastomers, such as EPDM, are not compatible with petroleum based materials, such as asphalt. How many SCOTS fasteners are required to attach a #9 Dektite? The number of fasteners can be estimated by multiplying the Dektite base diameter by 3. Based on a 1-1/2" recommended spacing between fasteners, and a flashing base diameter of 25", it would take 50 SCOTS fasteners to attach a #9 Dektite. Will Dektite work with a square pipe? Yes. Click here (PDF - 130KB) for proper installation guidelines. What is the most common fastener used with the Dektite? We suggest SCOTS Teks® self-drilling fasteners for attaching Dektite to a metal roof. How many linear feet of sealant is produced from a 10.3 oz. tube? A 10.3 oz. tube will provide 24 feet of ¼" diameter beading. Can Dektite be used to flash a pipe on a roof with a 25 degree pitch? Yes. When used on roofs where pitch is steeper than 20 degrees, or when used on deep-ribbed profile roof panel (1-1/2" deep corrugation or more), consider using next larger size Dektite that will accommodate the same pipe diameter. How much weight and/or shear will Sammys support? Sammys® comply with NFPA 13 standards for attachment of automatic sprinkler systems. Consult technical data sheets (PDF - 1.49MB) for ultimate pullout values as well as UL and FM test loads. Is use of the retaining nut in the R series necessary? Yes. The retaining nut must be used as the approvals are based on the resulting performance values. Use of the R series without the retaining nut is not recommended and the application is not covered in the listing and/or approval. Can Sammys be used on applications other than pipe hanging? Yes. Sammys are suitable and have been field proven in many applications and trades that require overhead structural attachment of threaded rod. Sammys products are suitable for electrical, plumbing, HVAC, datacom, security,and other related trades and applications, but are not recommended for use in high vibratory conditions. Consult technical data sheets for weight limitations. Can Sammys be used in areas of seismic activity? Yes. Sammys are tested in accordance with UL Standard 203 for pipe hanging devices and Sammys for Seismic models are tested to UL Standard 203A and listed for branch and end-of-line restraint applications. Consult current catalog for additional FM Global approvals. Yes. Sammys are coated with electro-zinc plating and meet ASTM B117 standards. Series 300 stainless steel models are available for use in aggressive environmental conditions and sterile, non-magnetic environments. Consult current catalog (PDF - 1.49MB) for model availability, listings and performance data. Or see our Stainless Steel Sammys product page. How do I know my Sammys product is properly installed? Always use the recommended nut driver for the selected Sammys model. Sammys nut drivers are manufactured to specific standards to ensure that tight tolerances are met in order to prevent over-driving and allow the driver to spin freely when the fastener is properly seated. Alteration of the manufactured product can adversely affect performance of the fastener and voids the manufacturers' warranty. Consult current catalog for model and driver compatibility. Are Sammys made of recycled steel? Yes. Our fastener components are manufactured from 25% post-consumer recycled steel, while 97% of the steel used to manufacture the caps is recycled from #1 quality pre-consumer steel. Are Sammys made in the USA? Yes. Sammys are manufactured in Elk Grove Village, Il and comply with the Buy American Act, ARRA and Free Trade Agreements Act. What approvals does Buildex have for Teks fasteners? The following approvals are available as PDF files: ICC ER3056, ICC ESR 1976, FM Global Approval, File Number (J.I. 2 X 9A2 AM). Is a fastener with thread pitch of 14 threads per inch appropriate for fastening into steel thicker than 1/4"? No. Typically coarse threaded fasteners are not appropriate for heavy steel, use a 12-24 Teks 4 or 5. When installing a Teks 5 fastener, what is the suggested RPM? For optimal fastener performance, the screw gun should be a minimum of 6 amps and use a maximum speed of 1800 RPM.